Both cognitive and developmental psychology are embedded into pre-registration speech and language training and inform the theoretical basis of many language and communication interventions. For the first time, some key ideas in social, health and counselling psychology are brought together. 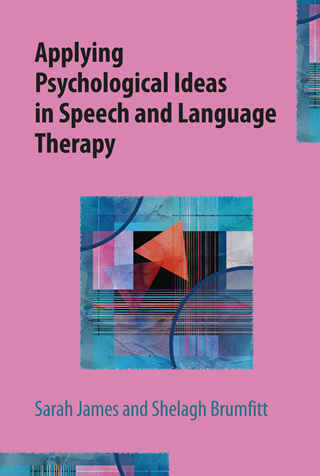 This book considers how they can be applied in speech and language therapy practice to overcome challenges and enhance effectiveness when working with clients across all ages and types of speech, language and communications needs. Sarah James has worked in a variety of clinical settings including with people who stammer and children with complex language and social difficulties. Now principal lecturer and professional lead for speech and language therapy at Leeds Metropolitan University, she works with the team to maintain and develop professional partnerships across the region, nationally and beyond through networking with colleagues and service users and carers in the public, private and voluntary sectors. Shelagh Brumfitt is Head of the Department of Human Communication Sciences and a Professor of Speech and Language Therapy Education at the University of Sheffield; she is also a registered speech and language therapist. Recently she has been involved with the evaluation of new speech and language therapy degrees in various European universities.